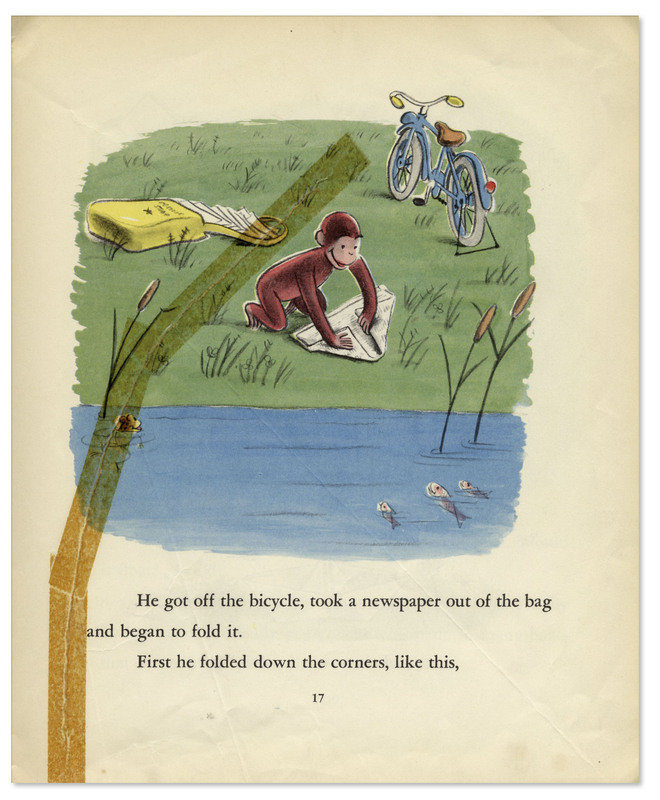 H.A. 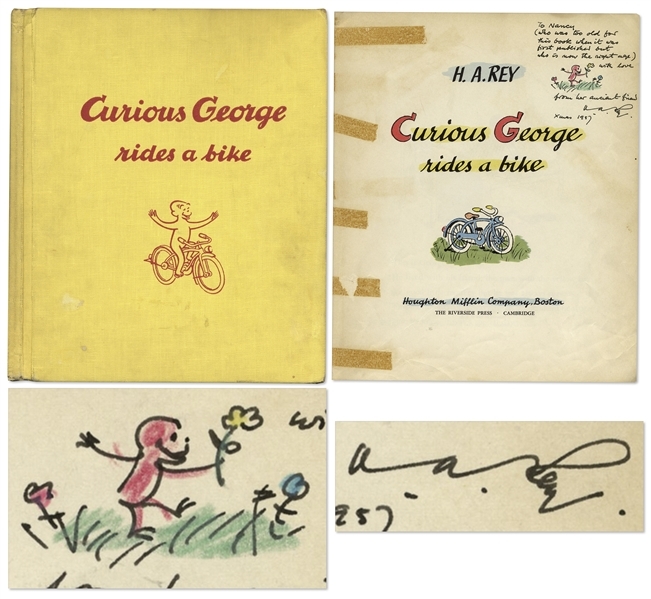 Rey signed first edition of ''Curious George Rides a Bike'', with his original ink drawing of Curious George holding a flower. Published by Houghton Mifflin: Boston: 1952. 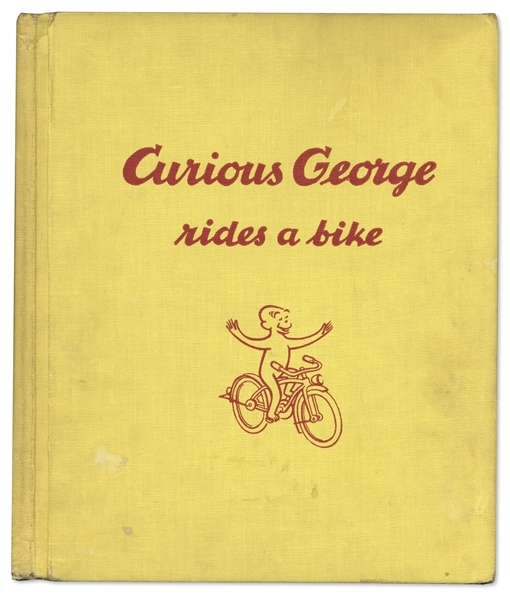 Inscribed on title page in black felt tip: ''To Nancy (who was too old for this book when it was first published but who is now the right age) / with love / from her ancient friend / H.A. 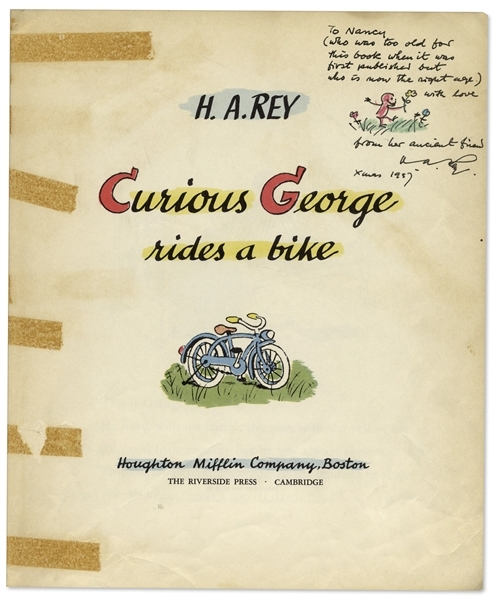 Rey / Xmas 1957''. Bound in yellow cloth without dustjacket, fully illustrated book contains 48 pages. Measures 8.5'' x 10.5''. Some wear to cover including spotting and dents on corners. 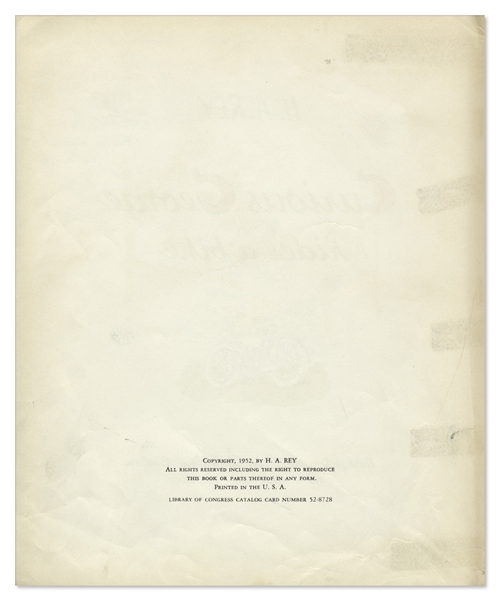 Marks from removed adhesive on a few pages including title page and archivally repaired tear on page 17, otherwise interior is in clean shape with tight binding. Overall very good condition with rare original ink drawing of Curious George.